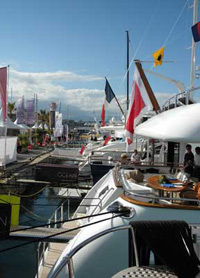 More than 12,000 people attended the 2009 edition of the spring show in the French port, now into its third year. This year 170 yacht owners exhibited their vessels. The small resort town, located between the more famous towns of Cannes and Nice, is on the southern coast of France. Featuring an area called “Billionaire’s Quay”, this year’s event also included a fashion show, a golf driving competition and a kayak contest. A major highlight of the show was the exclusive release of the new Mercedes “E Class” vessel. The whole event defied the current international downturn. Yacht owners and boating enthusiasts also used the show as an opportunity to hold seminars and share knowledge of the latest nautical news and technologies.